Here at BB HQ we are currently obsessing over all things tartan and for good reason I think! Tartan is currently one of the hottest trends popping up on the global fashion radar, from Paris fashion week to the local hang out; tartan reigns supreme. And its not just tartan either but plaid as well! What’s the difference you ask? Well if you have a look into it not a great deal. Both originate form Scotland, plaid was originally used in blankets and throws.. but they are both check patterned fabrics and that is what matters to us! Not sure how to wear your checks? Tartan is one of the easiest prints to wear and can be styled so many ways! 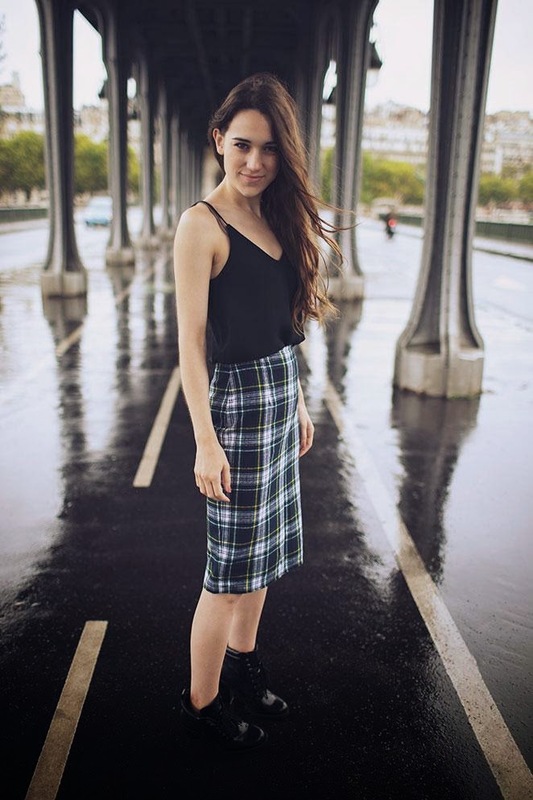 Wether you are going for a 90’s grunge look (also a hot trend: take note) or more of a sophisticated and preppy style, tartan is almost guaranteed to work and look amazing! Tartan is the perfect partner in crime to all things black, leather and denim making it a hot wardrobe favourite! Have a look at the colours in your tartan and match it back with basics that you have in the same or similar shade – Easy! THANK YOU!! I love tartan/plaid but I always feel like I have to do the whole 90's grunge (which i think isn't a bad thing) but it's nice to see it dressed up in a feminine way too.